Things are going well with our Peer Support project. The Comic Relief grant started at the beginning of March which means that Ellie and Hannah are now employed 2 days a week to manage and develop the Peer Support Project. Our online peer support forum continues to have many active members. We also co-hosted a PND Hour twitter chat on 1st March about postpartum psychosis, which went really well. It was amazing to have so many courageous women together talking so publicly about their experience of PP. 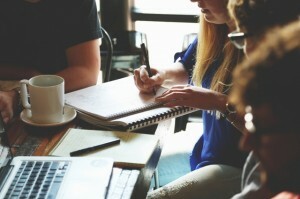 We have started planning our training for new Peer Support Volunteers which will take place in June. We have a list of people who are interested in being peer supporters. They include people who are already contributing a lot to our online forum, and also several people who have accessed our one to one peer support, so have lived experience of being supported themselves. Ellie has begun developing a pilot face to face peer support group for women who have had PP who live in Sussex. Ellie is collaborating particularly with the Sussex Early Intervention in Psychosis team and Ellie and two women who have had Postpartum Psychosis have met two times already. The meetings are very informal. We also have more women who are interested in joining the group so it looks likely to grow. This is a really exciting development in our Peer Support Project and we hope to facilitate more face to face peer support in two other areas of the UK, yet to be decided. Ellie, Hannah and Jess are busy developing the project plan as well as putting monitoring and evaluation in place for Comic Relief. We are also submitting another application to the Big Lottery, in an attempt to secure further funding for this vital work. 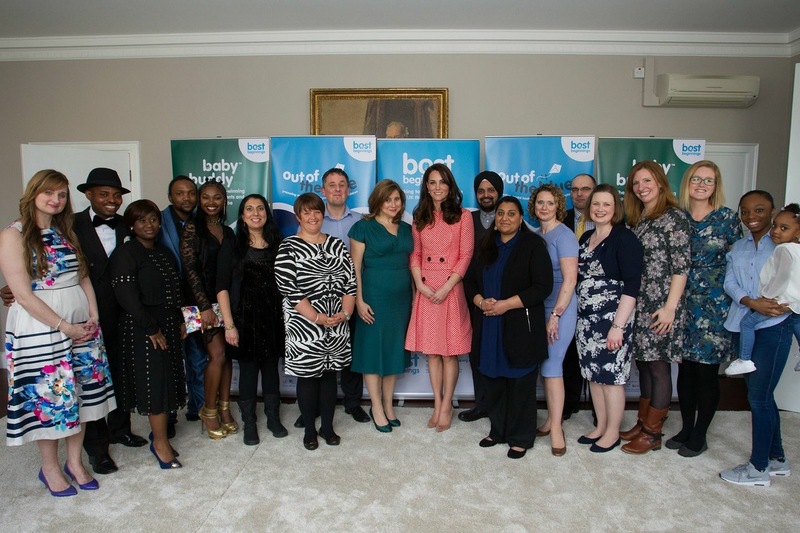 APP's regional rep for London, Kathryn, recounts a very special day at the launch of Best Beginning's "Out of the Blue" film package. "Wednesday's terrorist attack on Westminster horrified us all. But the work of mental health campaigners goes on: we will not be stopped by extremists. And neither, it turns out, will the Duchess of Cambridge. As I watched events unfold on the news the night before I was sure that, after weeks of anticipation, the Best Beginnings event would be cancelled. Surely security concerns would keep the Royals safely inside Kensington Palace? But no. The show went on and as a community of perinatal mental health campaigners we focused our attention firmly on the future. We had been invited to attend the launch of Best Beginning's "Out Of The Blue" film series. They had recently partnered with the Heads Together charity, set up by Princes William and Harry and the Duchess. It promised to be an auspicious event. I had first gotten involved with the project over two years ago now. I had agreed to contribute to the films about severe postpartum mental illness, and Mother and Baby Units. With my son (who was only around two years old at the time), I spent several hours being interviewed on camera for the films, and captured revisiting the Unit where we spent the first three months of James' life. The subsequent editing and producing seemed to take months (if not years!) and so by the time my launch invite arrived I had almost forgotten about our contribution. In the intervening period I had suffered relapses of bipolar depression, recovered again, learned a lot about my own mental health, trained as a Mental Health First Aid instructor, and spent two long secondments with my family in the Cayman Islands. The gathering at the Royal College of Obstetricians & Gynaecologists beautiful Regents Park headquarters was full of perinatal mental health professionals, charity workers and families with lived experience. And I (and the many other contributors) felt like a minor celebrity, as everyone seemed to know who I was from having seen the films! It was great to meet many of the other participants and their families: we came from all walks of life, and all over the country. Our experiences covered the wide spectrum of perinatal mental illness: anxiety, PTSD, antenatal and postnatal depression, and of course postpartum psychosis. Seven of us (along with two partners) had been asked to take part in a special support group setting. After the Duchess's speech in the Auditorium she joined us for half an hour to hear our stories and ask questions. Like any support group we were all there first and foremost as parents and that included the Duchess. We supported each other to tell our individual stories and by the time HRH arrived we were in full swing. Albeit joined by several TV cameras, photographers, journalists, and Personal Assistants! I was asked to speak first. Having been warned to keep things brief I gave a short synopsis of what happened to me and James, to culminate in our admission to the Bethlem MBU. I managed to impress upon her the importance of such specialist, high quality, psychiatric care. And how I was one of the lucky ones in the postcode lottery: I had access to this specialist care and a local MBU bed. Asides from this intensive psychiatric care, the second part of my recovery, I explained, was about "owning" my illness and being able to talk about it with friends and family. 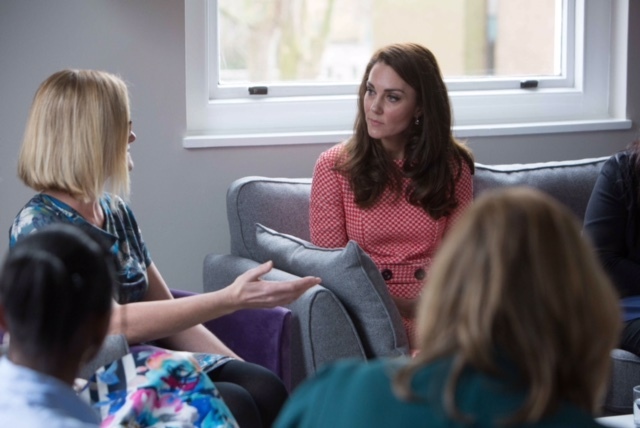 I had the chance to tell the Duchess how pleased I was that she and her family had started the Heads Together campaign. With such powerful voices, they will do a lot to reduce mental illness stigma and get people talking about their own mental health. With a final photo call and a hastily-arranged interview with a Daily Mail journalist the official day was over. 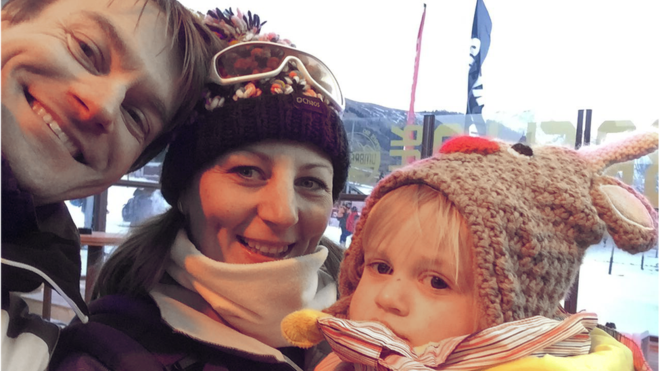 Social media had set my phone alight: but it was all worth it to have given postpartum psychosis a royal audience, and to have helped make a package of films that will educate healthcare professionals and new families for years to come." 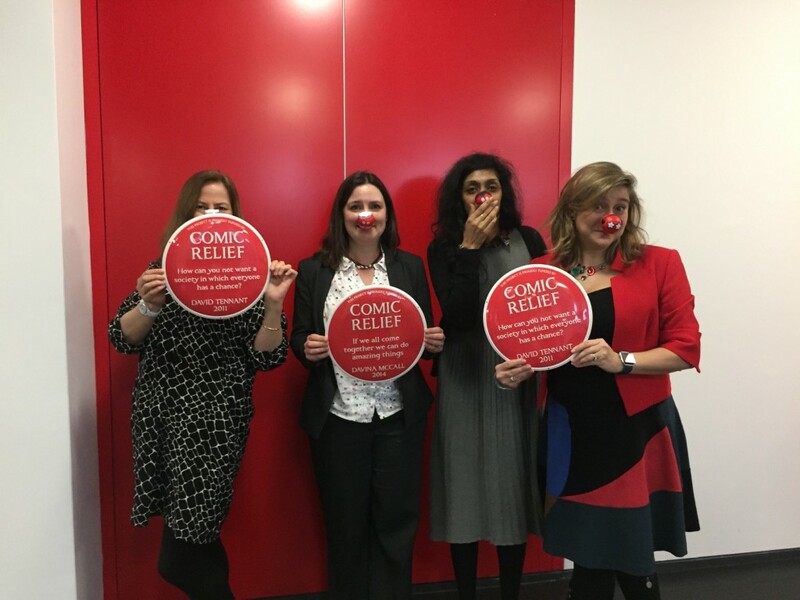 APP Director Jess proudly wearing a red nose alongside Ruth from Bluebell Care and Alison and Shabira from Best Beginnings, who have also received Comic Relief support. On Red Nose Day 2017, we're thrilled to announce that Comic Relief have awarded APP a grant of £120,000 to part-fund our peer support service from 1 March for 30 months. This will fund paid time for our Peer Support Coordinators and workshops to train new Peer Support Volunteers. We are delighted with this news but it's only one part of the funding jigsaw. We are working on a new application to the Big Lottery, alongside other Trusts & Foundations. Our new health professional training, with lived experience speakers, will help raise extra cash and we have events planned throughout the year starting with Music 4 Mums around World Maternal Mental Health day. Your support continues to be vital, allowing us to help women & families, whilst we secure further funding. It has been a powerful way to demonstrate to funders the need for our charity and the commitment of our supporters. Thank you and a big THANK YOU to Comic Relief. Please enjoy Red Nose Day and don't forget to donate! We're delighted to announce the Allen Lane Foundation have awarded APP a grant of £6,000 towards our PP Peer Support Service. 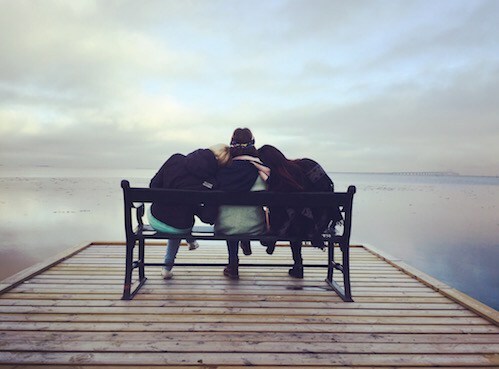 Specifically, the grant will fund a Peer Support Volunteer training workshop and additional paid hours for Peer Support Coordinators over the next 12 months, to enhance the sustainability of the service. We are very grateful to the Trustees of the Allen Lane Foundation for supporting our vital work. Find out more about the Foundation at their website. 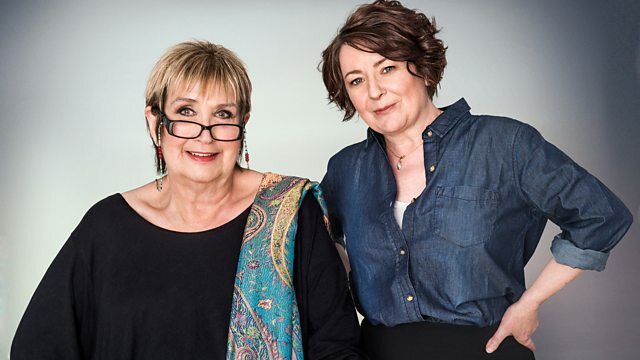 APP volunteer, Sally and her husband Jamie bravely shared their story in an extraordinarily moving BBC Radio Wales Eye on Wales episode about Postpartum Psychosis. Our Trustee, Professor Ian Jones also features, explaining the condition and talking about the need for a Mother & Baby Unit in Wales. APP Peer Support Volunteer Anna, who supported Sally during her recovery, talks about our online PPTalk forum and 1:1 support. Listen to the Eye on Wales Podcast here. The story also made the BBC News homepage. We are so grateful to Sally and Jamie, Ian, Anna, Kayley Thomas and the Eye On Wales team for producing such a brave, sensitive and powerful broadcast. Sally is also fundraising for APP with her colleague Ruth, braving a Big Welsh Swim in Padarn Lake on 22 July. You can sponsor them here. 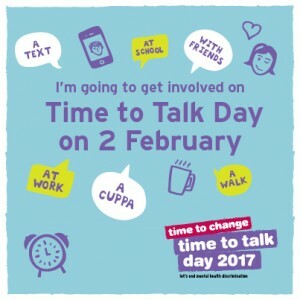 APP's Peer Supporters and Volunteers hosted an hour-long chat on Twitter for Time To Talk day on 2 February 2017 around people's experience of stigma. The hour flew past, with lots of contributions and lively chat from different perspectives. We've gathered the best of the Tweets into this Storify and juggled them under topics to try and give a linear narrative. Enjoy, and please don't hesitate to share your thoughts and comments on Twitter with us @ActiononPP. Could You Be Our Next Treasurer? We are looking for a Treasurer to join our board of Trustees and assist our award-wining small charity with robust financial management, planning and reporting. The Treasurer will oversee the work of the Accountant and Book-keeper in partnership with the Director. They will be able to communicate the financial position to the other trustees and assist the organisation with risk management, forward planning. They will help create budgets for funding applications. We also wish for the Treasurer to be a key player on our Trustee Board and interested in helping assist our organisation through a period of change and growth. This is a volunteer role. Ideally we would like the Treasurer to be able to commit 1-2 days a month of their time for APP work and to be responsive on email. Our team is distributed across the UK so phone and Skype meetings are important. In addition, board meetings are held quarterly in January, April, July and October in Birmingham. On Time to Talk Day we want to talk about PP & stigma - what are your experiences of talking to others about PP? Have you experienced stigma? What have people's reactions been like? Good, bad, supportive or strange - we'd like to hear. Join APP’s peer supporters and lived experience volunteers live on Twitter on 2 February between 8-9pm and look out for hashtags #timetotalk #PPtalk #endPPmyths. Can't join us? Email your stories to app@app-network.org or tweet @ActiononPP in advance. Find out more about Time To Talk Day here. For the first time, APP has been awarded a charity place in the London Marathon and we are thrilled to introduce you to our runner, Katie Dyer. Please support and sponsor her here. "I am a 37 year old Mother of a little boy and until 2012 I had no knowledge or awareness of Postpartum Psychosis. Despite being given information on Post Natal Depression during my pregnancy no one seemed to mention or discuss the possibility of this sudden and severe condition. Alice and I had been friends since we were little. She was in fact my oldest friend, an unwavering constant in my life as we grew up together, and it was with much excitement that we awaited the birth of her daughter, Chiara in October 2012. I had given birth a year earlier and couldn’t wait to share the experience of Motherhood with her, as I had all the other important moments in our lives from travelling around the world to planning our weddings. Whilst I tentatively warned her about the need to rest and the impact of sleep deprivation, I never dreamt to mention post natal depression nor did I even know about the possibility of postnatal psychosis. 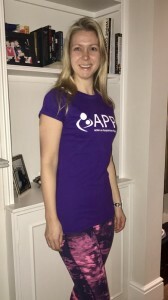 Four weeks after her daughter was born, Alice suffered a psychotic episode and further complications led to her passing away a week later leaving behind her devastated family, friends and a daughter who will never truly know just how wonderful her Mother was. There is nothing positive about this situation or this mental illness. It is vicious, cruel and deeply unjust. On the morning I was told that Alice, my bright, beautiful, determined friend who had fought so hard to become a Mother, was in hospital with a bleak prognosis I felt an overwhelming urge to run. Running has a meditative quality that I discovered in my late 20s and I think has been essential to my own mental stability in times of stress. And so I ran that day trying to tell myself if would be OK. Unfortunately for Alice and those close to her; it was not. However, in the spirit of Alice’s unquestionable strength and positivity, it is so important to remember that there is much to be done to ensure other families do not suffer in the same way. To this end, I am hugely honoured to be running the London Marathon for APP. The work they do to publicise, support and educate is vital to prevent further devastating losses and to provide essential life lines to sufferers and their families. I will run in Alice’s name and all those who have suffered from this unjust and frightening condition." You can support Katie's training and fundraising at her Virgin Money Giving page and save the date! The London Marathon is on 23rd April 2017 and we want as many APP supporters to be there to cheer her on as possible.